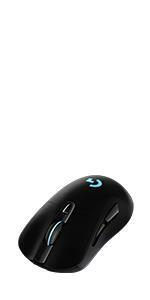 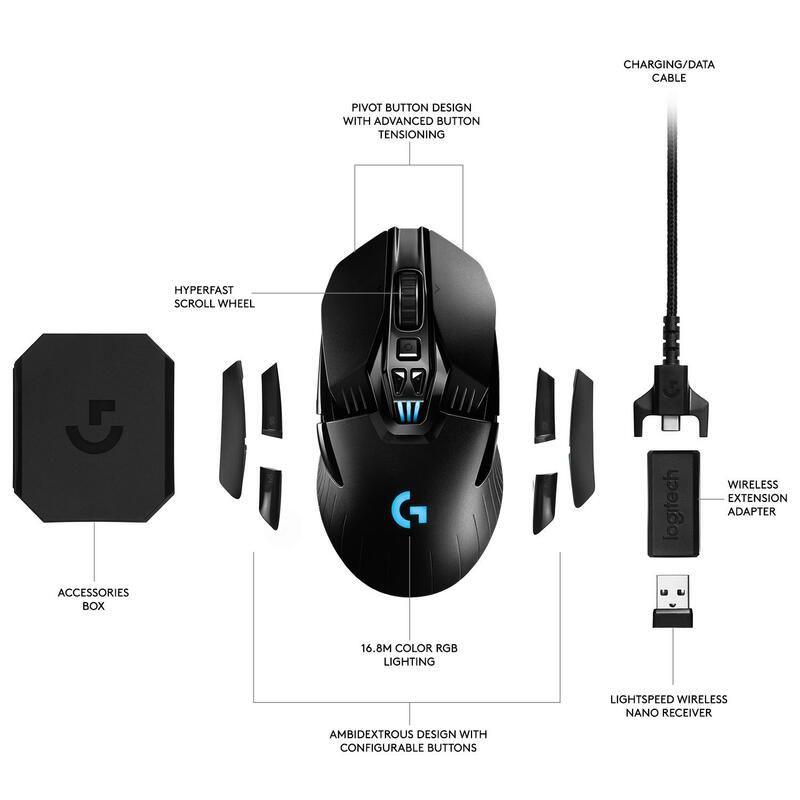 Ultimate Wireless Mouse. Now with Infinite Power. Trusted by top esports professionals, G903 with LIGHTSPEED wireless technology delivers incredible responsiveness for competition-level twitch targeting. 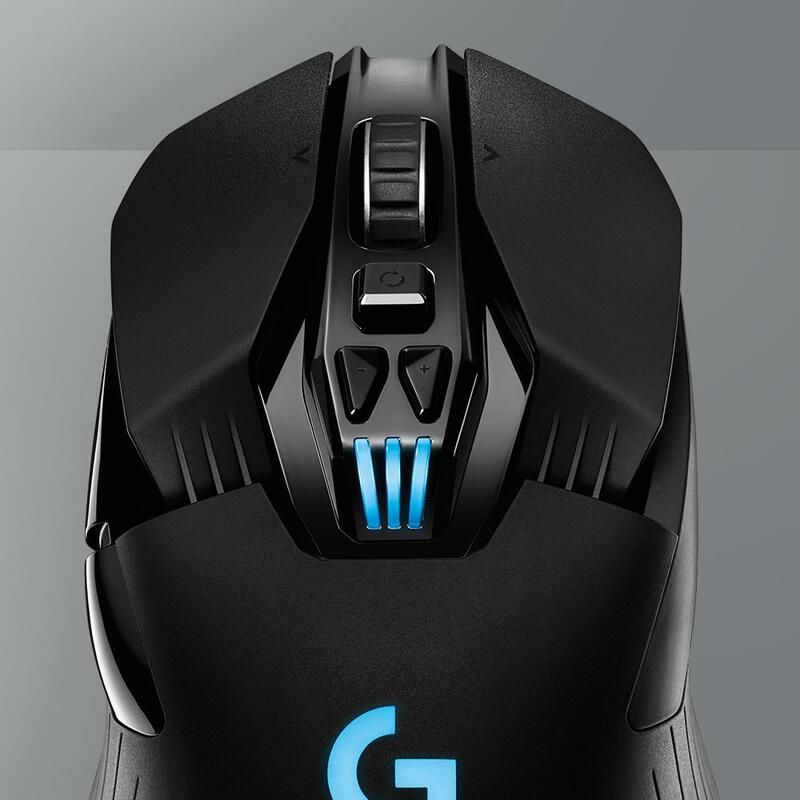 Featuring the world’s most advanced PMW3366 optical sensor, G903 offers superior tracking accuracy and consistency even at speeds over 400 IPS. 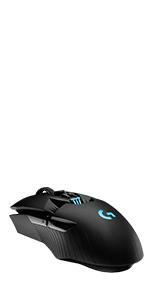 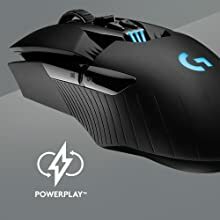 Add POWERPLAY wireless charging system to keep G903 charged while at play and at rest. 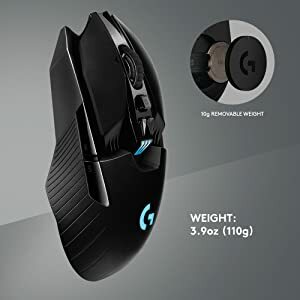 Designed to be ultra-lightweight and customizable, every component of G903 has been optimized to reduce weight while maintaining stability. 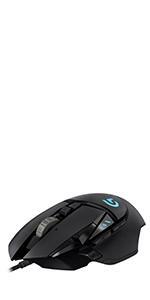 Each element of the construction was analyzed and adjusted to remove milligrams to create a wireless mouse that weighs in at only 110g. Add POWERPLAY, the world’s first wireless gaming mouse charging system, to keep G903 (and G703) charged while at play and at rest. 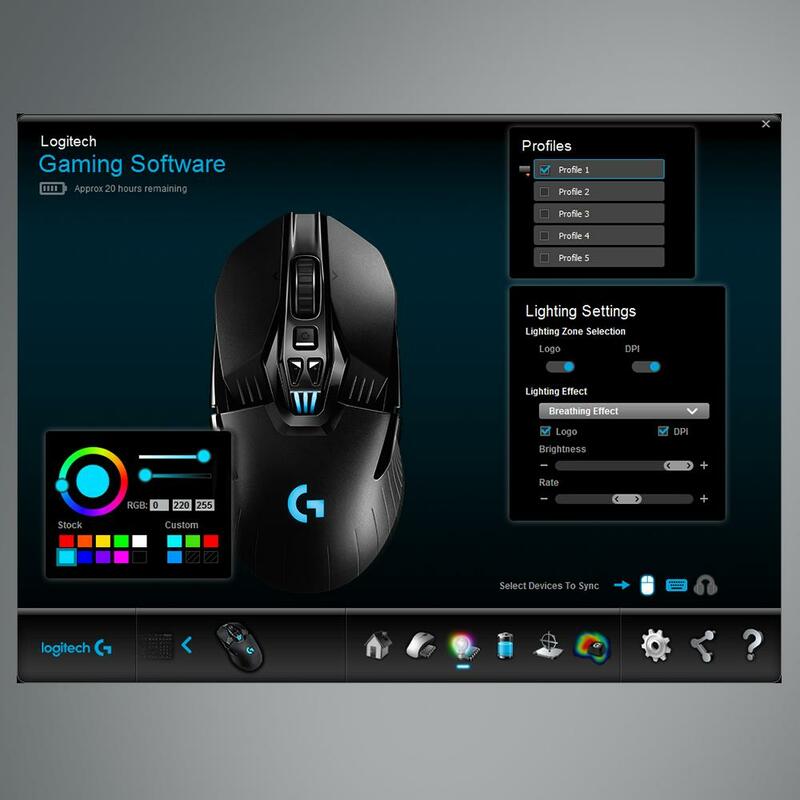 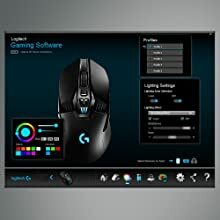 * The module system also includes a 10g removable weight when you aren’t using the POWERCORE, so you can customize the weight of the mouse to your preference. 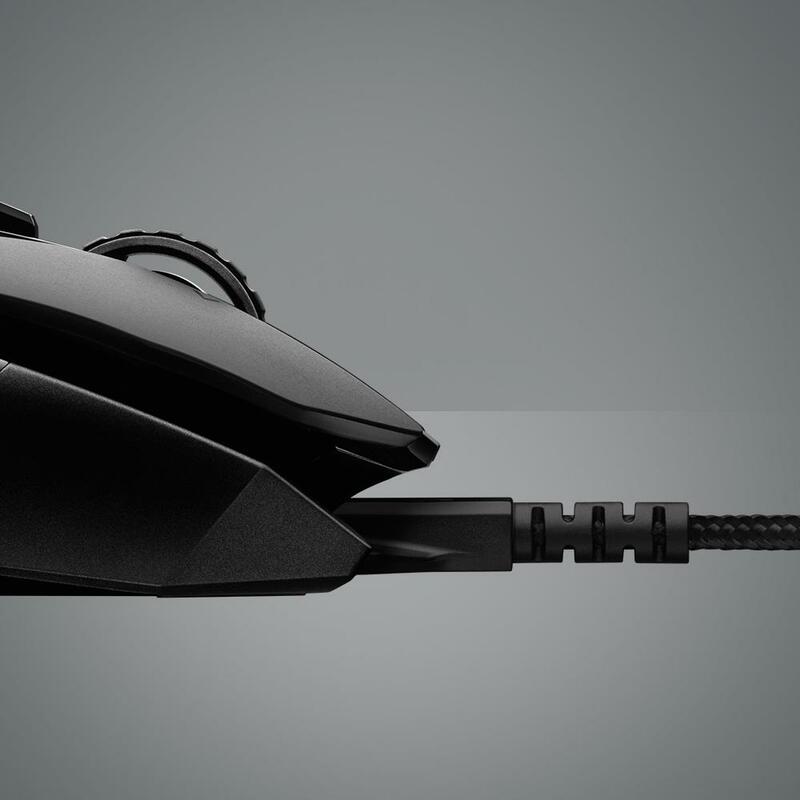 * POWERPLAY Wireless Charging System sold separately. 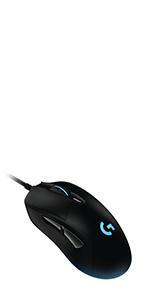 Precisely-tensioned metal springs and exclusive mechanical-pivot hinges keep the primary left and right mouse buttons poised to trigger. 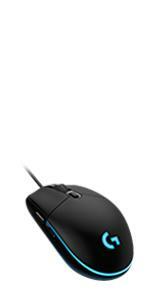 This technology delivers an exceptionally clean and crisp button feel, response, and consistency.